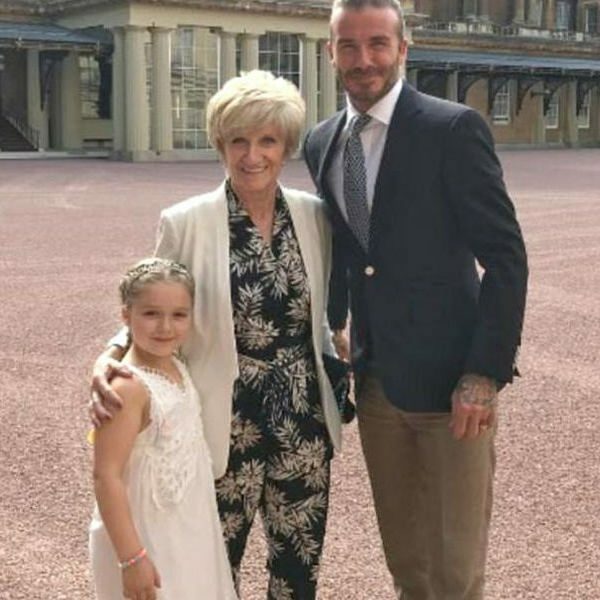 Harper Beckham wore this gorgeous CHLOÉ Girls Mini Me White Butterfly Lace Dress to her 6th birthday tea party at Buckingham Palace. Love this photo posted on Instagram with Haper, Grandma & Daddy David looking so happy together! Taken directly from the Chloe Women's Spring Summer 2016 collection, this girl's pretty off-white dress is made with a layer of soft tulle over a soft viscose lining. The front has a butterfly shape on the bodice made from gorgeous cotton eyelet lace and has colourful tassel details. This Special Occasion Dress is inspired by Chloe Women's Spring 2016 Collection at Paris Fashion Week.